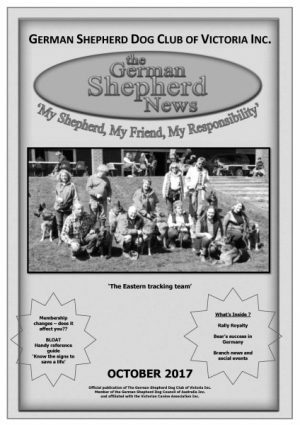 The GSDCV publishes a hard copy Club magazine ”The Shepherd News’ eight times each year. The Shepherd News reports on current and future events of the club, and all branches submit reports on their members activities and achievements. 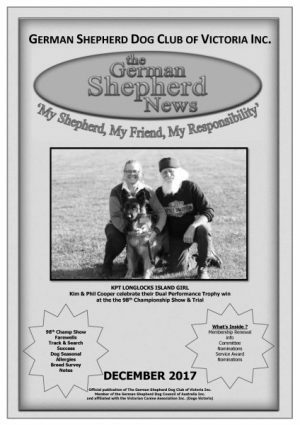 The magazine is 32-36 A4 pages per edition. 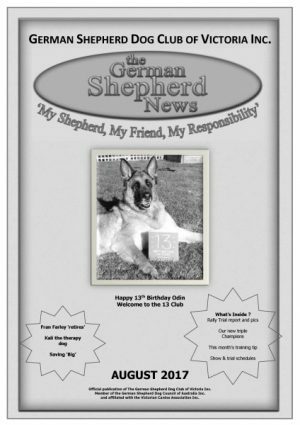 Advertising is available. Each edition is sent by post to over 1600 houses, making sure that all our members know what’s going on in and around our club and our breed. You can contact the editor via email, for enquiries or to submit stories. Covers from some of our recent editions are below. 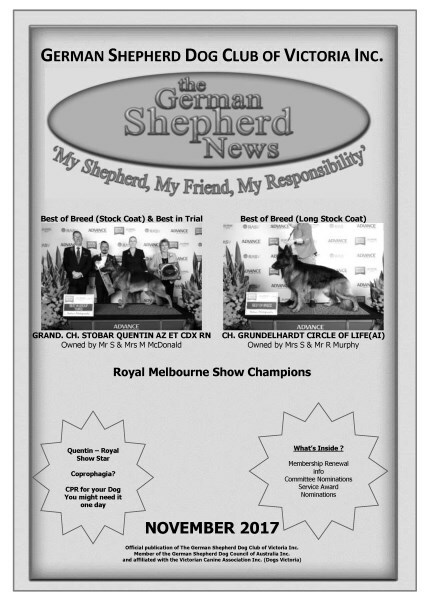 We produce a quarterly ENews that is sent to all members and subscribers. 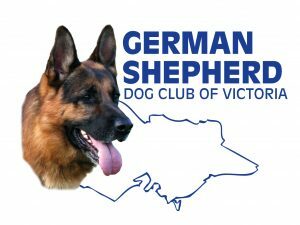 The GSDCV Shepherd ENews highlights important Club ‘stuff’, events and also includes useful or interesting video and graphic links for those interest in the GSD. Its our promo newsletter, direct to your inbox.